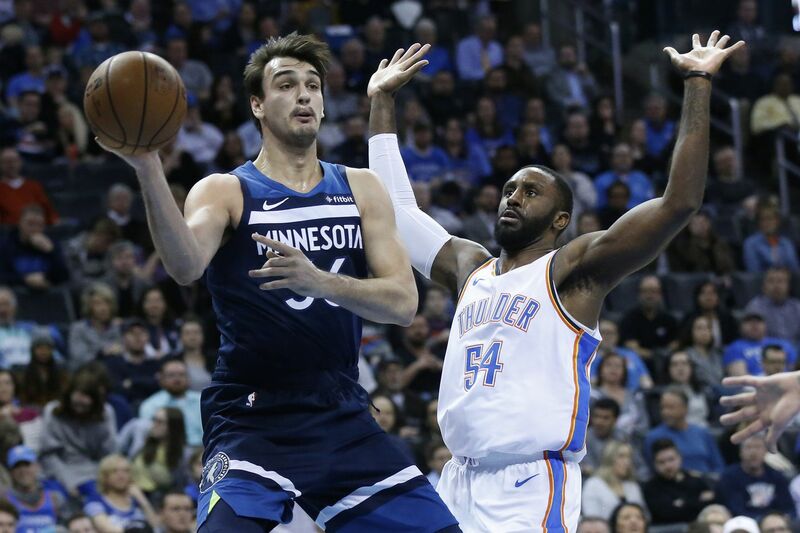 Dario Saric and the Timberwolves will be in town this Thursday. NEW YORK – Brett Brown is excited about Tuesday’s contest with the Minnesota Timberwolves. It will provide the 76ers coach an opportunity to see Robert Covington, Dario Saric, and Jerryd Bayless for the first time since they were traded to the Timberwolves in exchange for Jimmy Butler and Justin Patton in November. Covington is sidelined after suffering bone bruise in his right knee on Dec. 31 against the New Orleans Pelicans. However, the small forward has been a big pickup for Minnesota (21-22), averaging 15.0 points, 5.9 rebounds and 2.4 steals in his 22 games since the trade. Former Sixers general manager Sam Hinkie accompanied them on the trip to Spain after the team acquired Saric in the 2014 NBA draft. They made the trip despite knowing Saric wouldn’t play for the franchise until at least the 2016-17 season. At that time, he was under contract with a Turkish team. The Sixers acquired Bayless in free agency in July 2016. He’s averaging 2.3 points and 9.5 minutes in six appearances off the bench after a left knee sprain sidelined him at the start of the season. Saric is averaging 10.2 points as the Timberwolves' backup power forward. Joel Embiid finished with a team-high 26 points in Sunday’s 108-105 victory over the New York Knicks at Madison Square Garden. However, he made just 9 of 24 shots. He struggled mightily in the second half, missing 10 of 13 field goals. The All-Star center made 8 of 12 foul shots. He was playing with a sore right ankle that sidelined him for Friday’s loss to the Atlanta Hawks. He’s excited to practice on Monday to get his bounce back.